While saving and investing are critical adult habits in growing your money and creating wealth and financial freedom over time, in my opinion a more challenging but worthwhile goal is creating future wealth for your kids. I’m a father with two kids age 12 and 7, and I know that having kids is an expensive exercise at the most basic of levels. But to create wealth that may be able to support them in the pursuit of their own goals (University, travel etc), may require resources beyond the reach of most. And this is where investing, particularly through a TFSA, comes beautifully into play. Compound Interest – No less than Albert Einstein famously stated “Compound interest is the eighth wonder of the world. He who understands it, earns it... he who doesn't... pays it.” Your kids have a massive advantage that many adults don’t – time. The longer the time invested, the greater the effects of compounding. Risk – With many factors playing a role, risk can be tricky to assess for an adult, BUT the way that I look at it for my girls is that they have no mortgage, no personal expenses and the benefit of time. For their investments I want to maximise returns and so I am personally happy to go for the top end of the scale in terms of risk. Account for under 18 year olds – you can open a minor account on EasyEquities (which comes packaged with a TFSA) as soon as your child has a South African identity number. That’s usually when they are 2-3 months old. Again – time is on your side. The earlier one can start, the better. 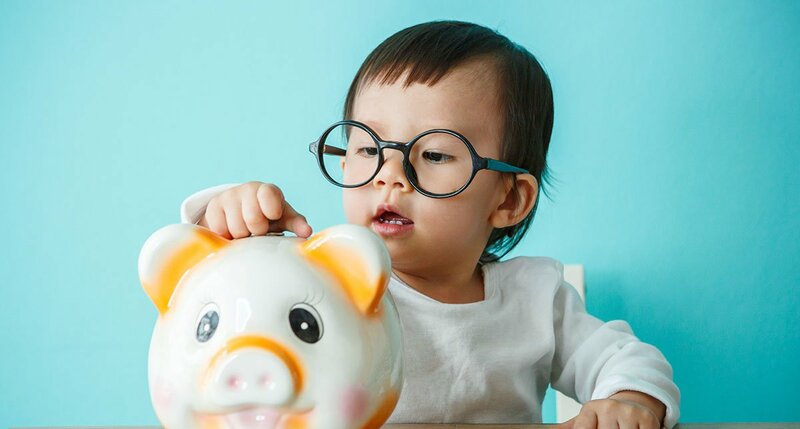 To illustrate what an ‘early’ investment for your child could mean long-term, let’s have a look at a few quick scenarios, using the TFSA calculator I developed. IF you’re not certain how the calculator works, please read my previous article, and I suggest running through the scenarios in that post to see it in action, before running through the scenarios below. With no lumpsum contribution and just R1,000 per month it will take 42 years to hit the lifetime contribution limit of R500,000. At that point in time, if untouched, Gabi my youngest daughter who will be 49, will have R7.5million to her name and will avoid a potential R1.2 million of Capital Gains tax (CGT) she would have owed were the investment not in a TFSA account. We’ll now reach R500k in the year 2040, when Gabi’s 28 years old. Her investment will be worth just R2,2million, but don’t dismay, the ‘magic’ lies further down. Scroll down further in the model to November 2060, the same date she hit the annual contribution limit in Scenario 1 above. At this point, having not invested one single cent for 20 years, her investment has grown to a very tasty R26,8 million and she would have saved approximately R4.7million in CGT. We’ll reach R500k in 2034, when Gabi is just 22 years old. Her investment will be worth R1.73million and she’ll save R214k in CGT. If she can leave it alone until she is 50 years old – without, let’s remember, ever investing a cent herself and with no one having invested a cent for the 26 long years between 2034 when we hit the lifetime limit, and 2060 when she turns 50 – what will it be worth? A whopping 69 million bucks. Saving approx. R12million in CGT. WOW – it’s so staggering it seems like the stuff of fairytales. I had to check the model a few times just to make sure there weren’t any errors. A Tax Free Savings Account is legally theirs when they reach the age of 18, so attempts to protect it beyond that could be tricky. But even if Gabi were able to access it and did dip-in once or twice for some much-needed funds, it would be very hard to dent that nest-egg. I sincerely hope I’ve managed to illustrate how you could really set your kids / grandkids and even great-grandkids up with an amazing future and with any luck, build in them a habit of creating legacy wealth. Sometimes making sacrifices to invest more for your own future and retirement is difficult, but thinking beyond just your immediate future, to that of your kids, may just make turning down that odd coffee or frivolous purchase a much easier choice.